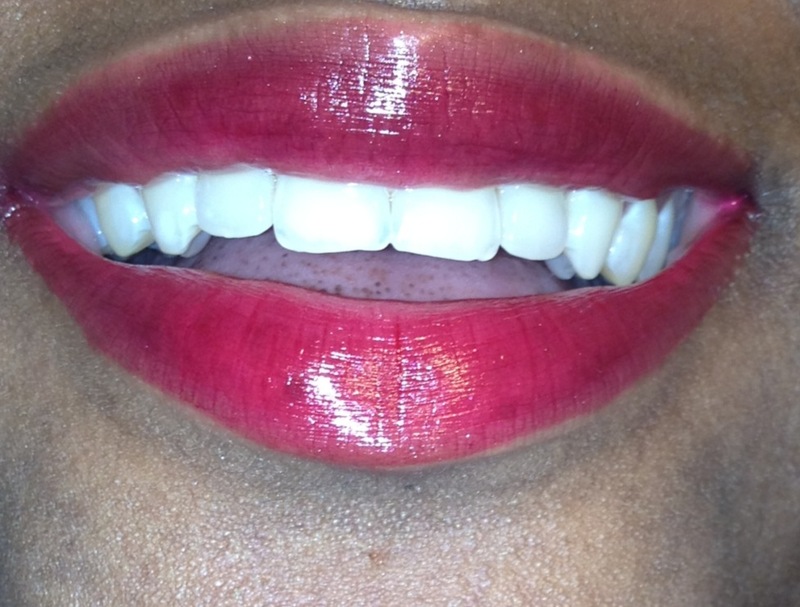 Someone asked that I update my Maybelline 10 hr stain gloss review if I ended up getting more colors, so here are my two latest shades. Here is color # 170 in Pleasing Plum. The first picture is of a very light coating. Now we have a heavier coating of Ruby Indulgence. Ruby Indulgence is pretty close in color to the color Berry Heavenly which I reviewed in my first post. 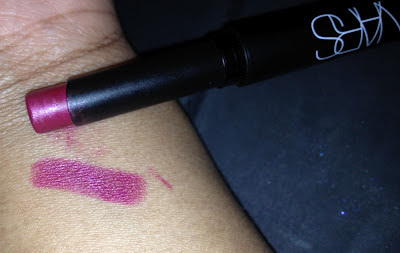 One thing that I probably didn't note in the first review is the fact that this lip product is very creamy. Once the creaminess wears off (provided you are not eating or drinking) the stain remains. Now that I have three of these I can tell you that the scent I described when I first reviewed this product is the same in all of the tubes, you will get a berryish type of scent. I should also note that the print on the bottom of the tube is VERY small, I could barely read the names of each color, so that was pretty annoying. All in all, I am still really enjoying this product. 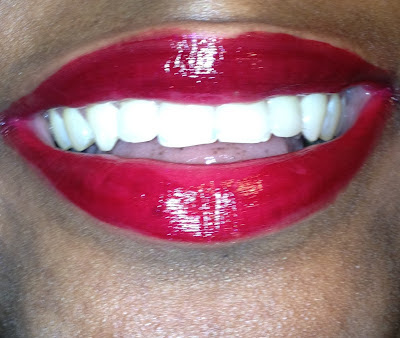 Here is a bold new color for my lips, this is Valparaiso from Nars. 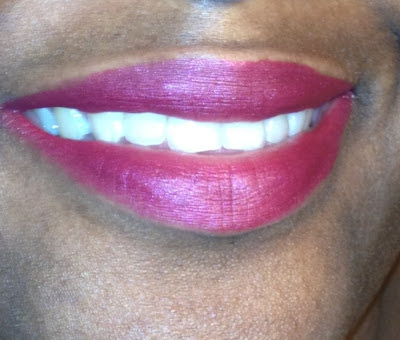 At $25 a pop, I was willing to give this raspberry colored matte lip color a try. 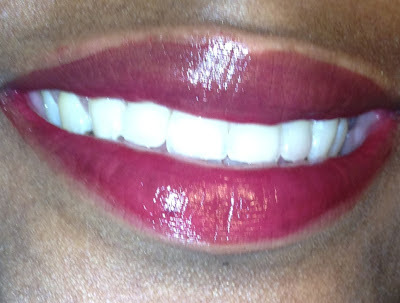 This matte is not as drying as some other matte lip products, but it's not necessarily moisturizing either. The color at least for me is bold but not too over the top. This week I am wearing Zoya's award winning purple named Charisma. I am wearing two coats of this polish. If you don't add a top clear coat the finish will almost look like a matte polish. As many of you know, I had gone the majority of my life appreciating makeup without ever wearing it. Now that I am dipping my toes deeper into the makeup pond I am really enjoying myself. 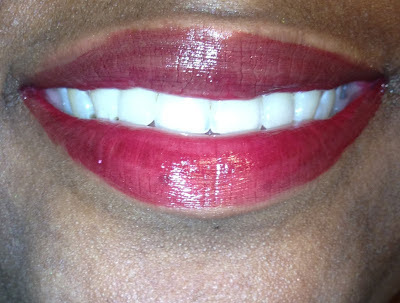 In recent weeks I have been wearing deep lip colors outside of the house (don't ask..lol) My favorite bright lip of the moment actually comes from Maybelline. The new Super Stay 10 hour stain gloss in the color "Berry Heavenly" has me itching to get my hands on more colors from this collection. What's so unique about this product? Many of us have used lip stains, some are good others stink but in general even the most beautifully colored stains leave your lips with a matte finish. This product has revolutionized the way we think of stains because it actually claims that it will give you the stain while leaving a glossy finish. This claim is 100% true, with just one swipe of this flattened lip wand your lips will have a rich color and a glossy finish. Notice that the wand looks like a flattened rice grain rather than the usual Qtip like wand that we normally receive. This product lasts on your lips for 10 hours. From my experience, whether or not this product lasts for 10 hours (or at least for a reasonably long time) depends on what you are doing. I had a warm slice of pizza and that stain pulled a disappearing act by the time I took my last bite. 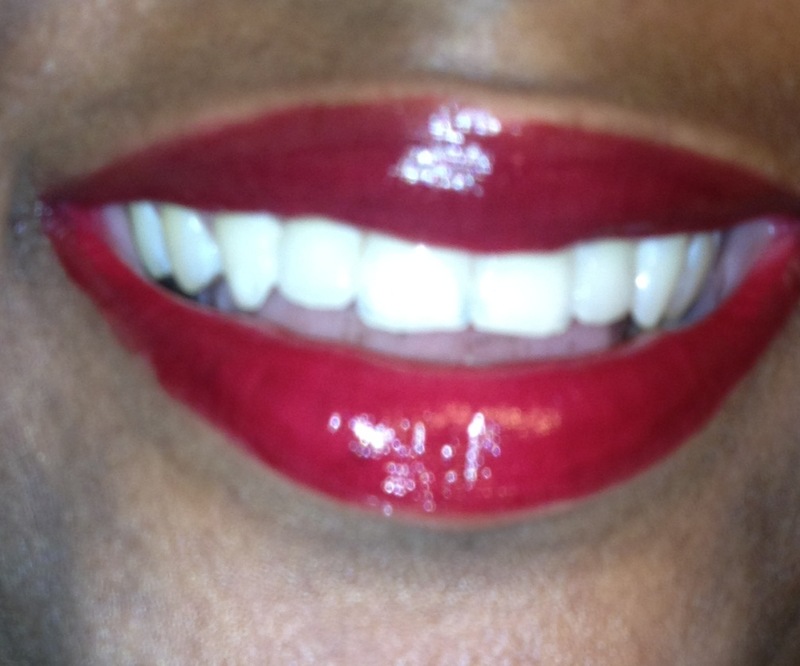 Also while drinking juice or any beverage, this lip stain went running for the hills. I had to reapply. However, if you are just sitting around doing nothing, or drinking through a straw you will be just fine and your lip stain will last for a good long time (several hours at least). If you are eating and you want your stain to last, you better use a fork and pretend that you are playing the old school game operation ensuring that nothing touches your lips. 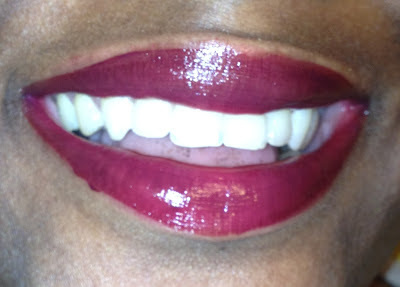 Personally, this deliciously berry scented lip gloss/stain is a pleasure to reapply. The fact that it doesn't last 10 hours is not a reason for me to refuse to purchase this product again- I'm smitten. I don't know if all of the glosses from this line are scented but Berry Heavenly smells good enough to eat, even though the product is tasteless. I love that this product doesn't dry out my lips at all, it is creamy and not sticky at all.- I love that!!!! Here is that same color with a heavier coating. Even with more product on my lips, this gloss does not get heavy. Price- it varies. You may want to shop around because I have seen this product priced anywhere from $10.95 down to $ 7:50. Bottom line- Would I repurchase this product? YES! If you're tried this lip stain what are your thoughts? Which lip stain is your all time favorite? 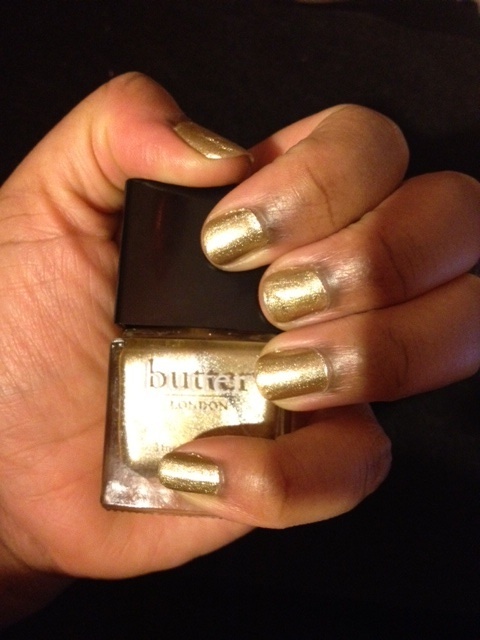 This week I feel like having shiny nails so I am wearing "The Full Monty" by Butter London. This gold polish gives me all the shine I need sans the glitter so removal is effortless! What's your favorite non glitter shiny polish?? ?